2nd line-The width of thebottom of the every alternative st is widened. 4th line-large and small variation of the stitch. 6th line-simply changed the colours. 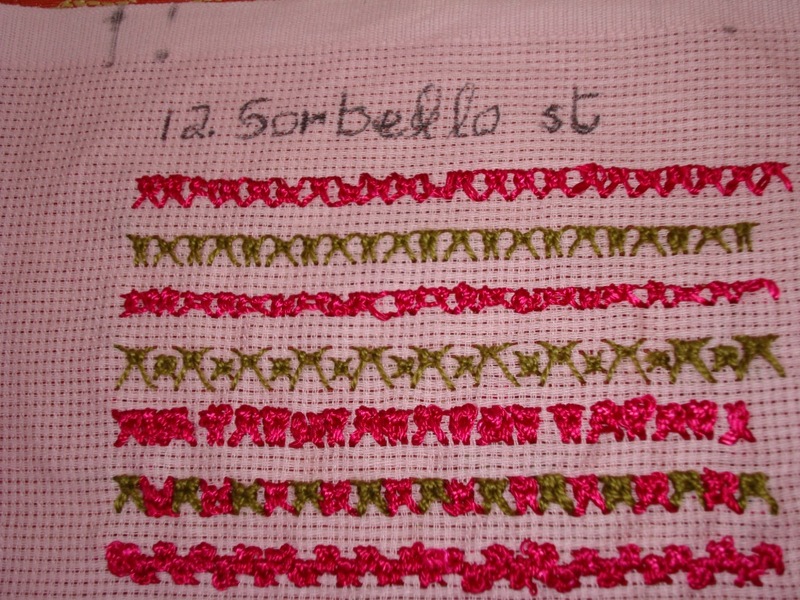 7th line-this variation is more clearer in Sharon’s sampler. 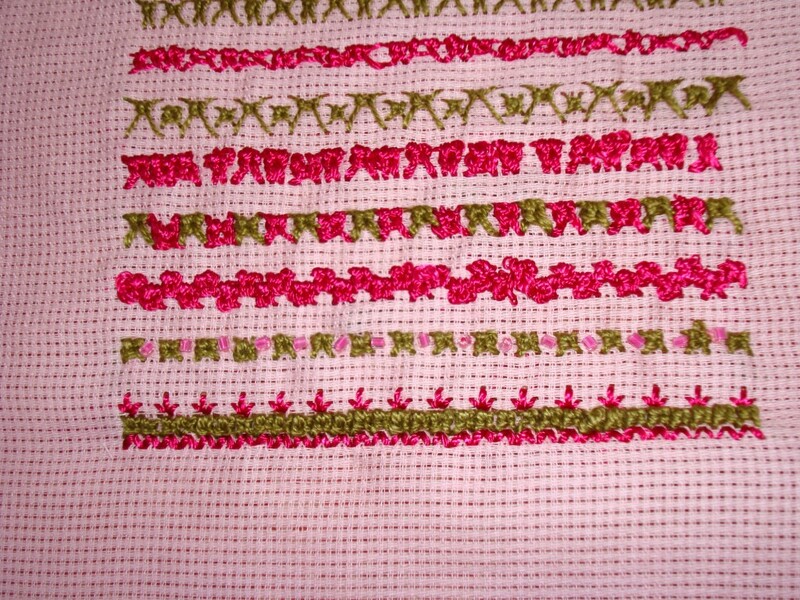 After seeing other’s samplers, I feel, I didn’t explore this stitch very well.